Xin Chen was awarded the Best MS Thesis Award for 2016-2017 from the Dept of Computer Science at Virginia Tech. 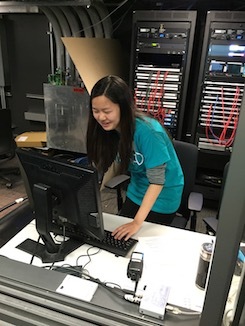 Xin's research, called "Be the Data", enabled students to embody high-dimensional data points to explore data analytics concepts such as dimension reduction. Using her system, she conducted numerous educational workshops, totaling hundreds of students ranging from 3rd graders to undergraduates.